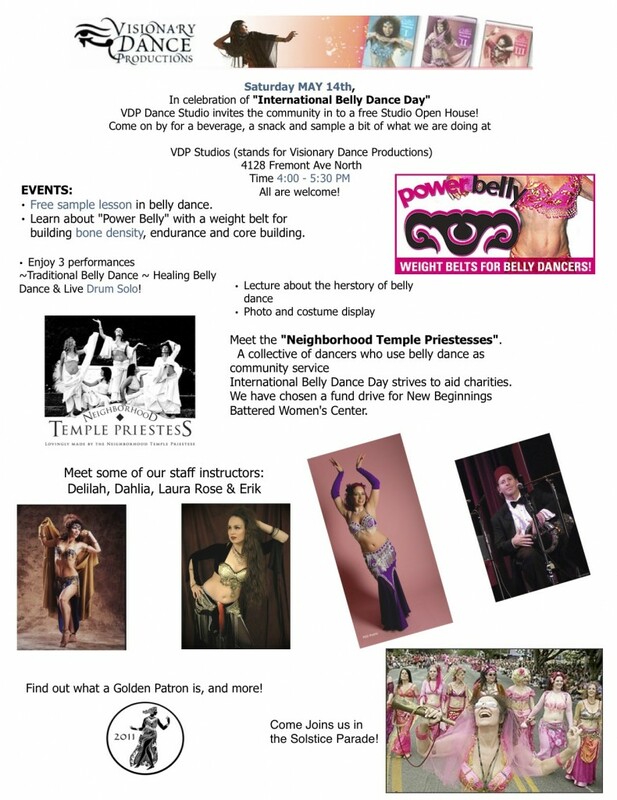 VDP Dance Studio invites the community in to a free Studio Open House! Free sample lesson in belly dance. Learn about “Power Belly” with a weight belt for building bone density, endurance and core building. Meet the “Neighborhood Temple Priestesses”. International Belly Dance Day strives to aid charities. We have chosen a fund drive for New Beginnings Battered Women’s Center. We do have a beautiful space with cieling light grid wood floors, mirrors and rich ambiance. We do rent it out for photo and video shoots, rehearsals, parties, concerts and more. Welcome to come check it out.